The adventure you seek is right outside your door, down every street, around every corner. It’s waiting for you. No plane ticket or fancy hotel needed. The adventure you’re looking for is inside you. You just have to let it out. Chase it around your city and let it explode inside your mind. Dream of it, and then become it. Pretty soon you will realize that you’ve been on an adventure this whole time. Because the adventure… is you. 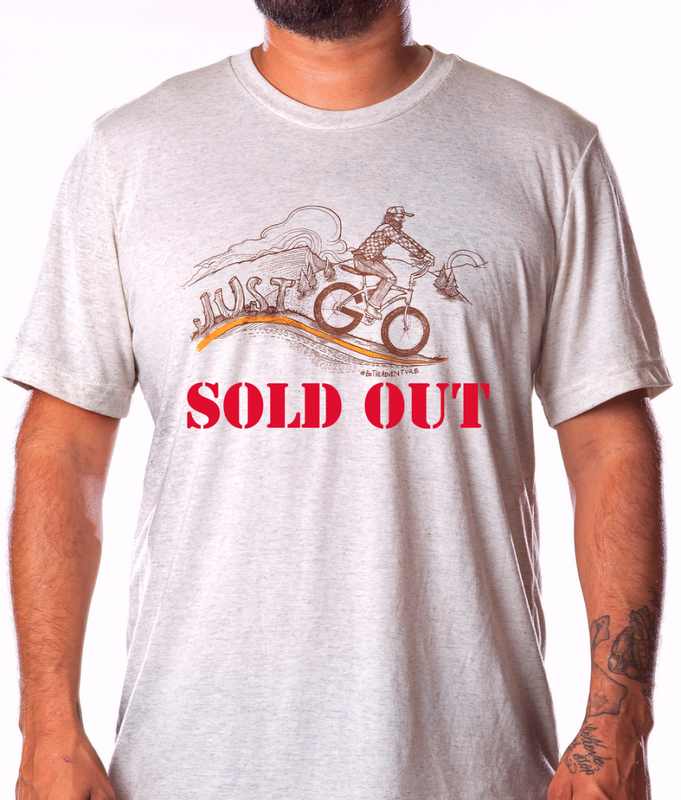 This limited edition Be The Adventure “Just Go” artwork was drawn by Adventurist and Outdoorsman Jeremy Collins and is printed on a super soft tri-blend Meridian Line T-shirt made of 50% Polyester, 25% Rayon and 25% Cotton.